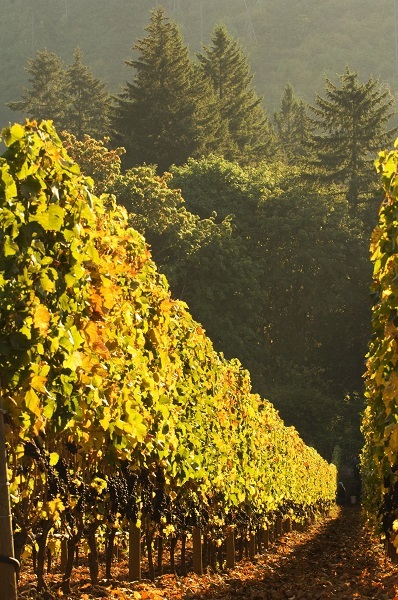 FALL BRINGS THE FULL MONTY OF OREGON’S HARVEST. 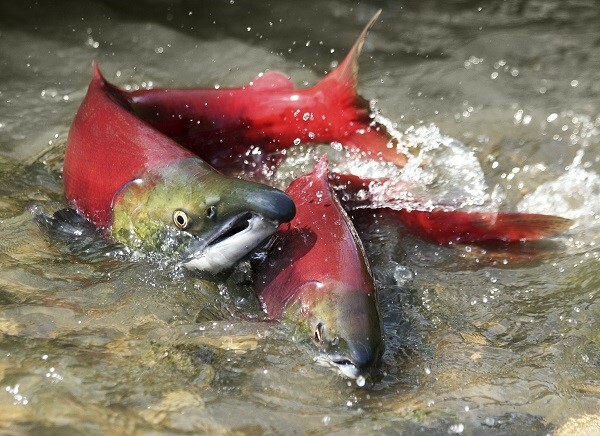 Wild salmon and tuna dart just below the surface of rivers and the ocean. Edible mushrooms push up through the forest floor. Ripe fruit and veggies hang in orchards and fields. Grapes blush before the crush. The choices for enjoying the harvest season are limited only by one’s time and budget. To help our readers navigate this bounty, 1859 hand-picked eight ways to celebrate the season’s riches—including harvest festivals in September and October. BRING OUT YOUR INNER HUNTER-GATHERER and take a hike in the woods after the first fall rain. 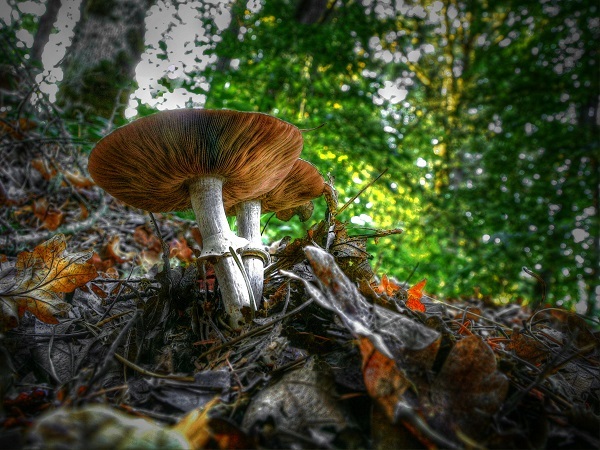 September and October are peak months for gathering wild, edible mushrooms, such as king boletes (also called porcini), golden chanterelles, matsutakes and lobster mushrooms. Finding mushrooms isn’t hard if you know the right conditions and what you’re looking for, according to Anna Moore, also of Florence. She’s been foraging wild mushrooms for about thirty years and says many are easy to spot along major hiking trails. A good place to start, she says, is the Siltcoos Lake Trail off mile marker 198 on Highway 101 south of Florence. These edibles grow in the forests throughout Oregon, often under the canopy. Because it’s easy to get lost, Moore advises people to take a GPS and tell someone where they’re going. She and Getz both advise novice foragers to sign up for a class or to enlist the help of an experienced picker, and Moore says always cook a mushroom before eating it. Some forest districts require a free permit so check with the Forest Service before heading into the woods. 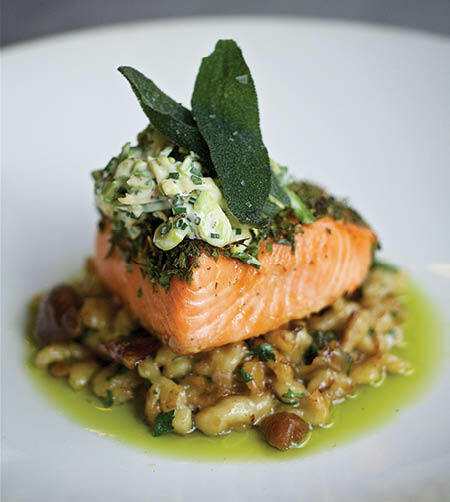 If you’re not comfortable foraging your own, buy at local farmers’ markets, specialty and natural food stores or eat at the Joel Palmer House in Dayton, which features an Oregon wild-mushroom-inspired cuisine. Chef and owner Chris Czarnecki suggests the matsutake wonton soup. Farm to Fork Event Co. When traffic stops for people carrying bags of kale, fresh cut flowers and flats of berries, you’ll know you’ve arrived at the weekly farmers’ market. Oregon farmers and ranchers display the fall bounty of corn, beans, heirloom tomatoes, flowers, and home-style jams and jellies. Music is often part of the experience, along with desserts, grain-fed beef, goat and wild seafood. The 2013 Guide to Oregon Farmers’ Markets (oregonfarmersmarkets.org) lists 119 places to buy local—from the Willamette Valley to Eastern and Southern Oregon. 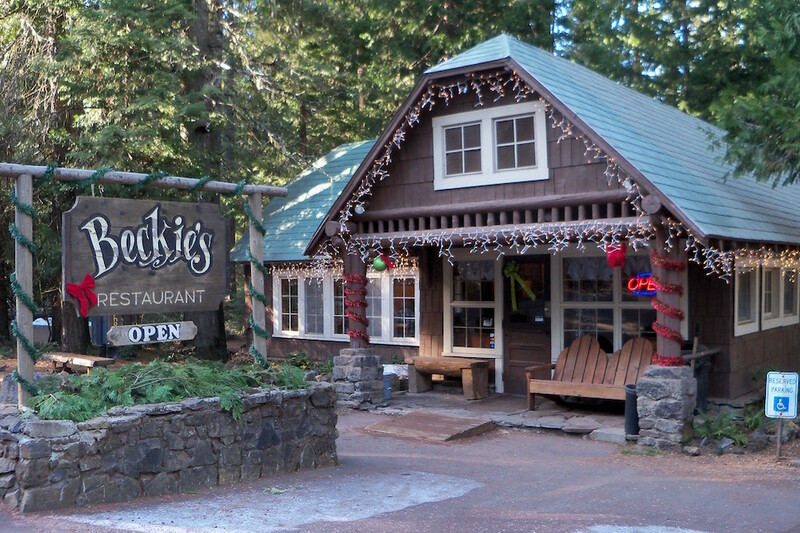 Like all outdoor activities in Oregon, weather drives the opening and closing of these markets, although some provide cover in the winter and stay open year-round. Oregon’s fame as a craft brew haven is hopping. The state grows five percent of the world’s hops supply, second only to Washington. 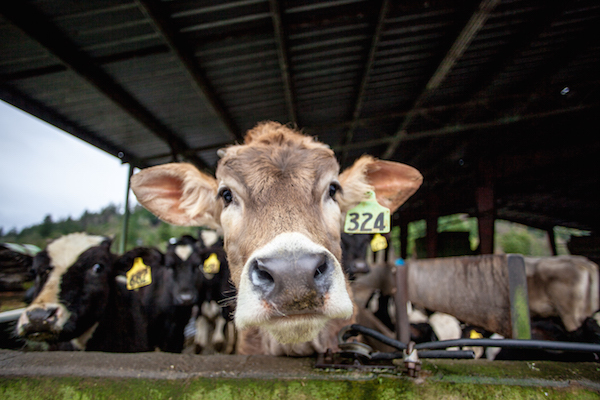 Nearly all the commercial growers are found in the Willamette Valley. The state’s microbreweries have put this ready supply to good use, with many artisanal beers ending up on grocery shelves across the United States. Residents and visitors, luckily, need only locate the nearest brewpub—not a difficult task in this state awash in beer suds. So tip a nice cold one at the agricultural source or join the crowd at one of many fall brewfests. Get your oom pah pah tuned up at one of a dozen Oktoberfests. The biggest and oldest Oktoberfest is at Mt. 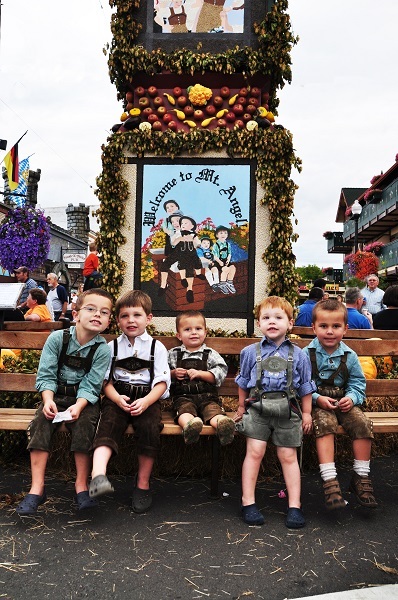 Angel, which swells from 3,500 residents to 350,000 revelers over four days from September 12 to 15 (oktoberfest.org). There is something for everyone, says Monica Bochsler, a local berry farmer and one of 7,500 volunteers who run the four-day Bavarian-themed gathering. German bands rock the venue on Friday and Saturday nights on four stages. Music with less volume plays out at St. Mary’s Parish Church and the nearby Mt. Angel Abbey. The kids will love the petting farm, pony rides and wiener dog races. Adults can play in golf or softball tournaments and, of course, tip a cold one in the biergarten where hefeweissbier flows from Germany’s oldest brewery, the Weihenstephan. Craft brews from the Pacific Northwest round out the garten. Wine drinkers can try a German wine made without sulfites or stick with an Oregon favorite. The food options from sausages and fondue to fish tacos and ice cream fit well with nearly any marketed diet. In September (the month they all happen, including in Bavaria), Oktoberfest will be held in Sandy, Bend, Portland (Oaks Park, North Portland, Widmer Brothers and Der Rheinlander), Wolf Creek (off I-5 north of Grants Pass), Astoria, Joseph (Alpenfest) and Jacksonville. The best time to eat albacore tuna is in September when the oil content is at its highest, according to Buck Boston, fish buyer for Pacific Seafood. Japanese buyers and other fish connoisseurs flock to coastal fisheries in the fall to buy Oregon albacore for overseas markets. 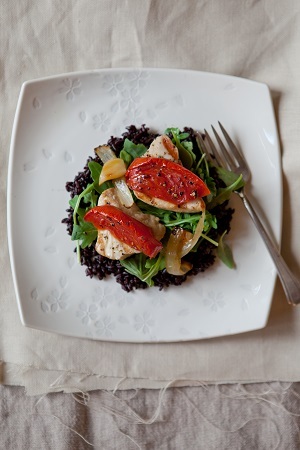 Locals can find it at the market for grilling at home or order it at a seafood restaurant, such as Local Ocean Seafoods in Newport and Baked Alaska in Astoria. September is also salmon month. Reeling in your own Coho or Chinook salmon is unforgettable, but requires patience and sometimes a boat. Buoy 10 at the mouth of the Columbia River is a busy place when salmon start returning to the river, but it draws a big crowd. For the uninitiated, go with a charter or hire a guide. Billy Davis, owner of Gale Force Guides (galeforceguides.com) in Warrenton, takes private groups on the lower Columbia River and into the Pacific Ocean toward Long Beach in September. He says the run actually starts in August but carries over into September. Rachel Craven of Yaquina Bay Charters in Newport (yaquinabaycharters.com) says their boats will be fishing for albacore off shore in September and October. They also fish for Coho and Chinook salmon in Yaquina Bay and its nearby rivers. Pears, apples, hazelnuts and cranberries sweeten the harvest bounty. Oregon is the country’s second largest producer of pears (Washington is first), with the biggest supply coming out of the Hood River and Rogue River valleys. The Willamette Valley grows ninety-nine percent of the domestic supply of hazelnuts. Oregon cranberries, grown in the bogs along the southern Oregon Coast, rank fourth in the country. Hood River Valley’s mild winters, sunshine and soils create the perfect incubator for apples and pears. 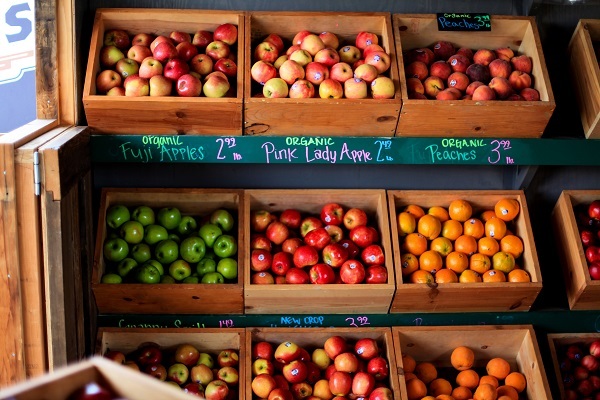 Enjoy this top fruit-producing region on the Hood River County’s thirty-five-mile Fruit Loop. The trail winds through picturesque farm land and orchards, wineries, alpaca farms and roadside stands. Take a self-guided tour or go with Martin’s Gorge Tours (martingorgetours.com). Martin Hecht, owner of the tour company, says a couple of his favorite spots are Apple Valley Country Store which has homemade pies and huckleberry shakes, and the Draper Girls Country Farm offering several fruit ciders. Held annually, this is an old-fashioned, thirty-year-old festival that draws about 20,000 participants from around the globe. The three-day event on the waterfront overlooking the Columbia River has local produce, beer and wine, entertainment, and arts and crafts. Bandon’s 67th Annual Cranberry Festival, September 13-14 The festival is “down-home, American fun,” says Julie Miller director of the Bandon Chamber of Commerce. About 15,000 to 20,000 visitors fill the streets of this coastal town. Tart and crunchy in their untouched state, cranberries are better blended into juices, pastries, wines, jams and jellies. Activities include a parade, cranberry-eating contests, music, food, a petting zoo, a quilt show and more. Autumn Hazelnut Harvest Watching farmers sweep up nuts in a dusty field might not be the perfect way to spend a fall day, but Mike Klein of the Oregon Hazelnut Marking Board says there are plenty of ways to incorporate this healthy nut into the autumn diet. Buy hazelnuts in their shells and roast them at home for a delicious snack or use shelled nuts in recipes. 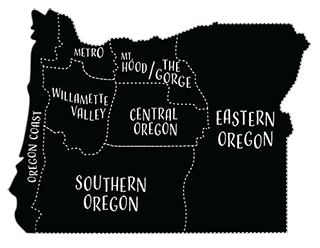 As the fourth-largest wine-producing state, Oregon has much to celebrate. And celebrate it does. Harvest brings a flurry of activity to wineries, with most opening their doors to thousands of visitors naturally drawn to the magic and romance of the crush. The first week of October is the best time to visit, according to Joe Dobbes, owner of Wine by Joe and other labels. His winery, like many others, offers programs for observing and tasting grapes and wine during the harvest while learning about winemaking. The Oregon Wine Board says that many vineyards welcome volunteers at harvest. These include Ardiri Winery in the Chehalem Mountains of the Willamette Valley, and Sineann Winery outside of Newberg. Before you slip on your coveralls, call ahead—harvest times vary from season to season. North of Medford, Agate Ridge Vineyard celebrates harvest with hay rides, grape stomp competitions and pumpkin paintings. 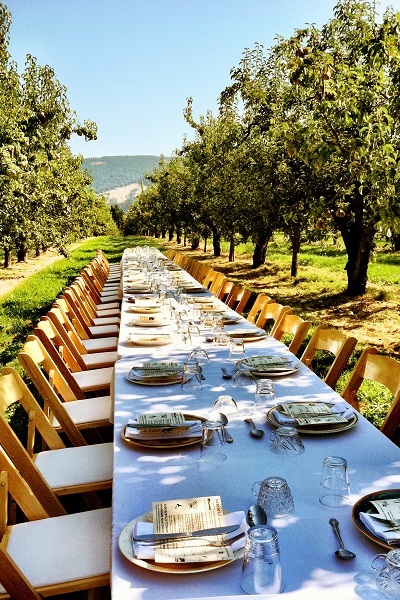 Six other Southern Oregon wineries also offer harvest events. If the gluttony of fall has you feeling sluggish, try a farm-to-farm bike ride, or continue the party with a vineyard tour.